When I see a Kim Vogel Sawyer title, I expect a lot -- a great story, rich characters, strong faith, often set in the prairies of the midwest a century or so ago. Sweet Sanctuary is no exception to that description (except for the setting being a different time and place). And Kim does a great job with a World War II background for this book. Once again Kim delivers a story well worth reading. Lydia's, Micah's, and Nic's lives intertwine and play out with lots of twists and turns, many of them unexpected. Nicky and Justina are sweet, lovable children who add an extra bonus to the story. 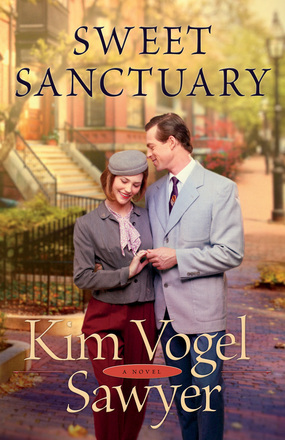 Sweet Sanctuary is a tale of love between a man and a woman, but it is so much more. A picture of a loving God who works things out in His way and His time, in spite of human attempts to plan things out, shines through from beginning to end. I give Sweet Sanctuary five stars and recommend it to all fans of great historical Christian fiction. Thanks to Bethany House for providing a copy of this book free of charge in exchange for my honest review. I'm not a big sports fan -- I couldn't name the favorite teams or players in any particular sport. But I have enjoyed lots of really good movies and books that revolve around a sports team or individual. Home Run is the latest I've found in that category. The people in the story seem real -- they struggle, they are flawed, and they draw you into their lives so that you care what happens to them. Cory Brand, major-league baseball star, and the family and friends he left behind in his hometown learn first-hand about the power of God's love in healing hearts of long-standing hurts. Home Run is a well-written read for a wide audience, with a good mix of baseball, faith, and relationship. The flashbacks at the end of each chapter help the reader put pieces together and understand more about how Cory got to the point where his life and career seem to be falling apart -- and how he finds his way home. 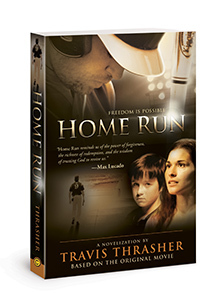 Sports fan or not, anyone who enjoys a good story of hope, healing, and redemption should enjoy Home Run. The book is a novelization of a movie due to be released later this month. If the movie is as good as the book, it should be a hit! Thanks to David C. Cook publishers for providing this book free of charge in exchange for my honest review. The publisher was generous enough to provide an extra copy of this book for me to share with another reader. If you would like a chance at winning a copy, leave a comment below and I'll draw a name at random sometime after 5:00 p.m. (central time) on Wednesday, April 10. The author of a dozen works of fiction, including Isolation and Ghostwriter, Travis Thrasher has been writing since he was in the third grade. His writing is known for its honesty, depth, and surprising twists. Thrasher lives with his wife and daughter near Chicago. 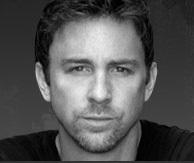 Learn more about Travis at his website: http://www.travisthrasher.com/. Beth Wiseman hooked me with her excellent Amish fiction. But she has proven her ability to write excellent fiction in more than one genre. 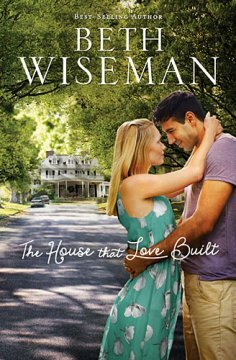 The House that Love Built is her second non-Amish novel, and it was a delight to read. Brooke, Owen, and the other characters come alive on the pages. A troubled teenager and an offbeat uncle add variety and depth to the story, providing a balance of trouble and humor. As the characters deal with loss and betrayal, hope, love, and healing come at just the right time. A bit of small-town mystery around an old house and a bonding of an eclectic "family" rounds out this very enjoyable story. Thanks to the BookSneeze blogging program for providing this ebook in exchange for my honest review. While Need You Now is Wiseman’s first non-Amish novel, it will not be the last. She recently completed The House that Love Built, scheduled for release in April 2013. Like Need You Now, it will also be set in small-town Texas, a familiar background she thoroughly loves exploring and writing about. Today, she and her husband are empty nest parents of two grown sons, enjoying the country lifestyle and living happily with two dogs, two cats, two pot-bellied pigs, and a growing collection of Boer goats in a small community in South Central Texas. 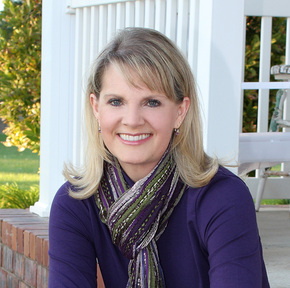 When Beth isn’t writing, she enjoys cooking, reading, traveling, and watching good movies. Her favorite pastimes, however, are painting (her paintings can be veiwed on her Fans of Beth Wiseman Facebook page) and spending time with friends and family. A year ago this month, I started a book review with a question about whether a man could write a good love story. My conclusion then was, "Yes, he can." The book I was reviewing was The Discovery, by none other than Dan Walsh. Well, Dan and co-author Gary Smalley have done nothing to change my mind about that answer! 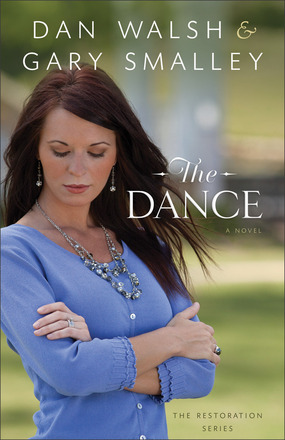 The Dance is a heart-tugging and heart-warming story of the struggles and romance that are present in many marriages. The little things missing in her marriage add up to big things for Marilyn, and she takes desperate measures to get Jim's attention. The "chance" encounters Marilyn and Jim both have with the same person lead to lessons neither of them expected to learn. As the story neared its conclusion, it was pretty evident where things were headed. The tender, emotional details, though, kept me tied to the pages as I read the conclusion through my tears. Besides providing an extremely engaging story, The Dance challenges readers to make the most of their marriages and other family relationships. The authors' combination of skill in writing and insight about family relationships provides an excellent read. I look forward to more visits with the Anderson family in this Restoration series. Dan Walsh is the bestselling author of several books, including The Discovery and The Reunion. He has won three Carol Awards, and two of his novels were finalists for RT Reviews Inspirational Book of the Year for 2011 and 2012. 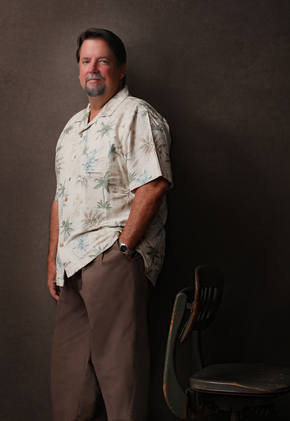 A member of American Christian Fiction Writers, Dan served as a pastor for 25 years. He lives with his wife in the Daytona Beach area, where he’s busy researching and writing his next novel. Gary Smalley is one of the country's best known authors and speakers on family relationships. He is the bestselling and award-winning author or coauthor of 16 books, along with several popular films and videos. He has spent over 30 years learning, teaching, and counseling, speaking to over 2 million people in live conferences. Smalley has appeared on national television programs such as Oprah, Larry King Live, Extra, The Today Show, and The Sally Jessy Raphael Show, as well as numerous national radio programs. He is the bestselling and award-winning author or coauthor of many books, including the Baxter Family Redemption series with Karen Kingsbury. Gary and his wife, Norma, have been married for 40 years and live in Branson, Missouri. They have three children and six grandchildren.